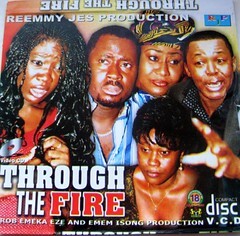 Work shy party animal Olumide is employed as the managing director for his mother’s company, Da Costa holdings. His mother fears that he is following his reckless father’s footsteps and worries hugely about his future, as she knows that she is terminally ill and will not always be around to look after him. A charity benefit brings an ambitious young lady to Olumide’s mother’s attention. They build up a great rapport and after inviting her in for an interview she is made finance director. The company’s purse strings are tightened and lavish spenders Olumide and his calculating girlfriend Sabina start to resent the new finance director for questioning the way that they extravagantly blow the company’s money. 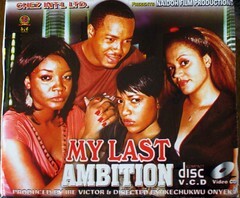 Olumide concocts a plan to ensure that he has full control of his mother’s money that goes so horribly wrong. Chief Dom is a widower that lives with his two daughters and son. Since his wife died he fills up his time sleeping with young girls who are pleased to pander to his every whim for the money that he is showering them with. 2 of Chief’s children are wayward. The son is and armed robber and the daughter is promiscuous and directionless. His other daughter Gina is the one that tries to hold the family together. She constantly tries to talk to her family members to get them to clean up their lives but her pleas fall on deaf ears. This is unbelievable. I put in the part one and it is stuff I have watched already! WTH? The part 1 on My Last Ambition covers most of part 2 of TMW and even goes on to part 3. I then went to put the next disc in, to discover that the new footage starts off 11 minutes and 30 seconds into the part 2. WHAT? This is SHOCKING! More than half of this new movie is REPETITION and it gets worse!